This rich formulation containing Emu oil penetrates the skin delivering vital lipids and nutrients along with natural botanical extracts to the innermost layers of the skin. Restores skin lipids and increases collagen and elasticity leaving your skin feeling rehydrated and healthy. 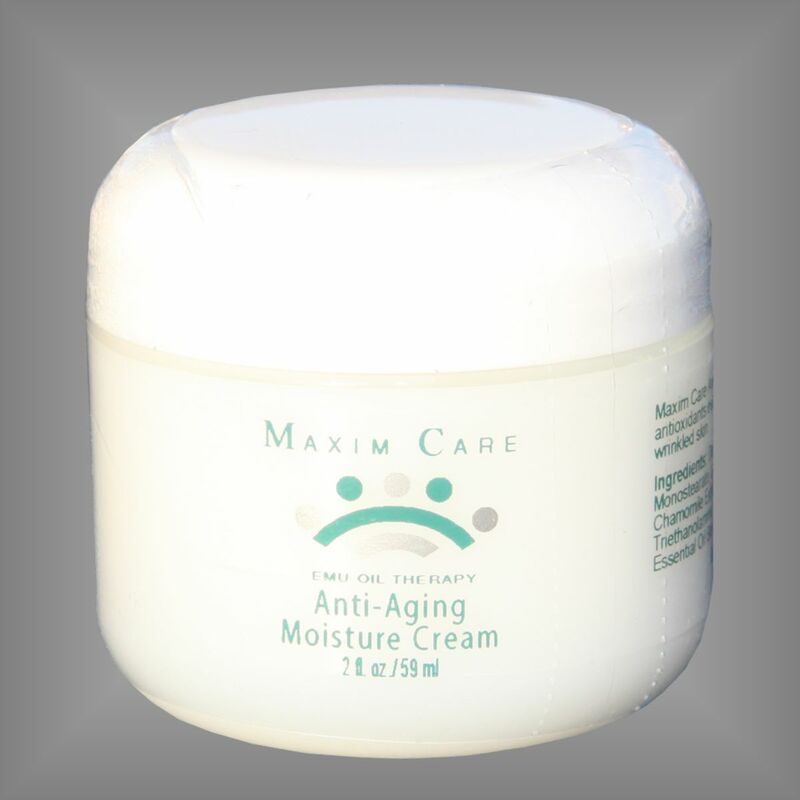 Maxim Care Anti-Aging Formula is non-greasy and light enough to be used alone or can be applied under make-up. Directions: After cleansing face, apply small amount to the face and neck area-massaging in a small circular motion. Can be used under make-up for daytime use and can also be used as a night cream. Ingredients: De-Ionized Water, Emu Oil, Glycerine, Cetyl Alcohol, Iao-Cetyl Stearate, Glyceryl Monostearate, Laneth-16, Steareth-16, Aloe Vera Extract, Calendula Extract, Chamomile Extract, Ginseng Extract, Allantion, Carbomer, Triethanolamine, Tocopheryl Acetate (Vitamin E), Germaben IIE.